Our Spring Concert was held on Thursday 11th April and can only be described as an ‘all-round success’. This wonderful event allowed Mr Bradley (Head of Music) to showcase the outstanding musical talent in the school. The audience responded with rapturous applause and standing ovations on the night, and indeed we are still receiving messages of appreciation. 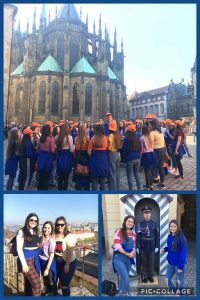 £1370 was raised from the event and this will go towards covering the remaining costs of the Senior Choir’s Prague trip. If you missed it…..don’t worry! You can see some of the highlights on our YouTube channel. We are absolutely delighted to have been short-listed for the ICT Excellence Award at Post-Primary level. The Capita and C2k NI Schools ICT Excellence Awards celebrate the innovative and collaborative use of technology in schools across Northern Ireland and the positive impact on students and their wider community. Now in its fifth year, the awards are for schools that have used technology to transform their educational experience and improve the engagement, achievements and motivation of staff and students. On a daily basis we are demonstrating innovation in our use of technology in teaching and learning here in Loreto. It is just fantastic to get such high level recognition for all our work. We now look forward to welcoming the judges in May. On 27th March our Year 10 students enjoyed a wonderful woodland walk in Drum Manor Forest Park in Cookstown. An absolutely fantastic total of £2320.50 was raised for Action MS. The ability to deliver to KS3 English & Drama essential. 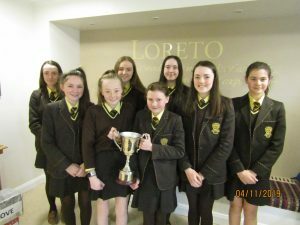 The successful candidates will be expected to uphold the educational philosophy of Loreto Schools and contribute actively to the extra curricular life of the school. The Board of Governors reserve the right to enhance criteria to facilitate shortlisting. Applicants for the post should be recognised (September 2019) by the Department of Education to teach at second level and be registered with the General Teaching Council N.I. Posts involving work in educational institutions are subject to the provisions of the Protection of Children and Vulnerable Adults (NI) Order 2003. Our current Year 13 pupils were formally acknowledged for their outstanding GCSE success at a special assembly. 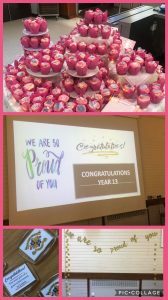 The girls were congratulated by Principal, Mrs O’Hanlon and by Head of Post-16, Ms Fahy. To be placed top of the NI (Belfast Telegraph) League Table is indeed an incredible achievement and credit was given to the pupils and their teachers for the hard work and dedication that it took to reach these standards of excellence. 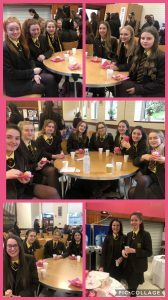 ‘Sweet treats’ were enjoyed by all! 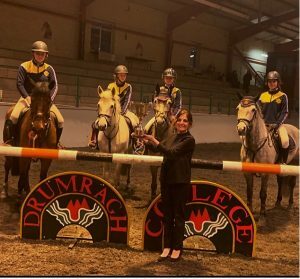 Loreto Show Jumping Team secured first and second place at the Drumragh Show in the Open Competition. They have now qualified for Balmoral! 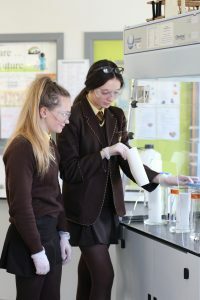 An exciting opportunity for Chemistry students to attend a fully funded week long summer school. Click on the links below for further information. 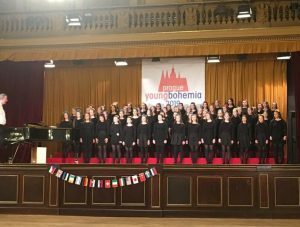 Our school choir, comprised of sixty talented senior students, travelled to Prague on Thursday 21st of March to compete in the prestigious Prague Young Bohemia competition. This was our school’s sixth time to participate in the festival and we were truly delighted to secure an ‘overall’ win for the second successive time. 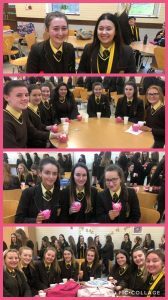 Under the supervision of Mr Bradley and Mrs O’Neill, the girls had a fantastic all-round cultural experience. Some of the highlights of the trip included an impromptu singalong outside Prague Castle and a Saturday morning performance to a packed St. Nicolas’ Cathedral, which received raucous applause from locals and tourists alike. 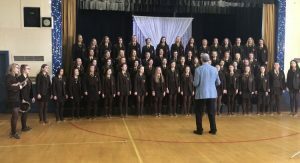 Friday night’s competition saw a breath-taking performance of five pieces, which the girls and their choir master Mr Bradley put their hearts and souls into. This was the culmination of many months of rehearsal. 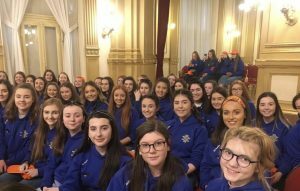 The girls competed against choirs from Germany, Switzerland, Italy and the extremely popular Mount Sion Choir from Waterford. Commenting on the win, our highly esteemed Mr Bradley said “I am thrilled to have received this endorsement of our school’s choir. To achieve an accolade at this highest level is just brilliant. This success means that we have now won outright in the only two categories for which we are eligible – ‘Girls Choirs’ (2016) and ‘Spiritual and Gospel’ this time round.” There has been fantastic media interest in our success. UTV Live will air our story on Friday 29th March and we will also feature in local newspapers, the ‘Tyrone Constitution’ and the ‘Tyrone Herald’. 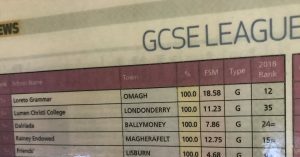 We are absolutely delighted to be announced top of the 2019 Northern Ireland GCSE League Table! We are ‘on a roll’ of National and International Success!